As part of our commitment to protecting our customers and the environment, Rieger Motors recommends that your catalytic converter be checked periodically. 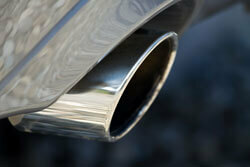 When emissions problems are caught early, damage to your vehicle and the environment can be prevented. If you’re experiencing any of the issues mentioned above, come by our Forrest, IL location. Our team of expert technicians is standing by to get your car running clean.